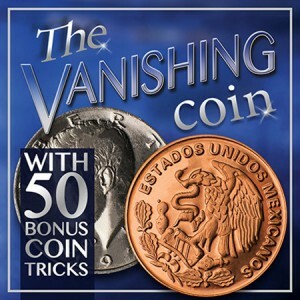 "Scotch and Soda" is hands down the best coin trick you can do! This trick needs very little sleight of hand but will stun your audience. Ben Salinas will perform and teach you step-by-step this classic trick, plus other tricks to do with your scotch and soda set. He will also include an additional trick that has never been seen in print before as an added bonus! In addition to all of that, you will receive a variety of coin tricks that you can do with regular coins! This classic trick in magic is a must have!